Doshi’s ambition and initiative guided many pivotal moments in his life—from boarding a ship from India to London, where he dreamed of joining the Royal Institute of British Architects; and moving to Paris—despite his inability to speak French—to work under Le Corbusier; to responding to the responsibility and opportunity of rebuilding his native country. 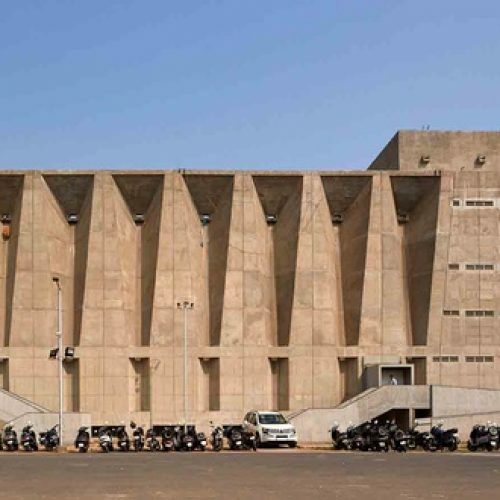 He returned to India in 1954 to oversee Le Corbusier’s projects in Chandigarh and Ahmedabad, which include the Mill Owner’s Association Building (Ahmedabad, 1954) and Shodhan House (Ahmedabad, 1956), among others. 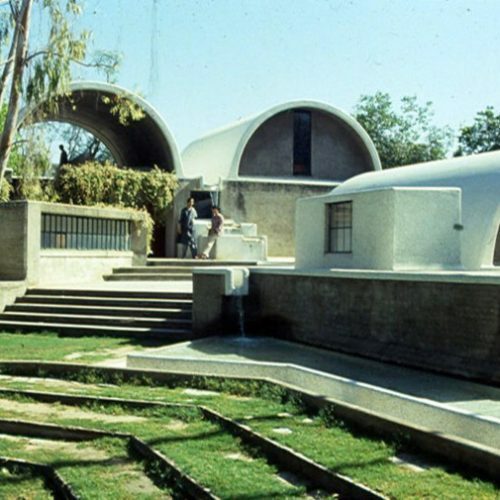 Beginning in 1962, Doshi also worked with Louis Kahn as an associate to build the Indian Institute of Management, Ahmedabad, and they continued to collaborate for over a decade. 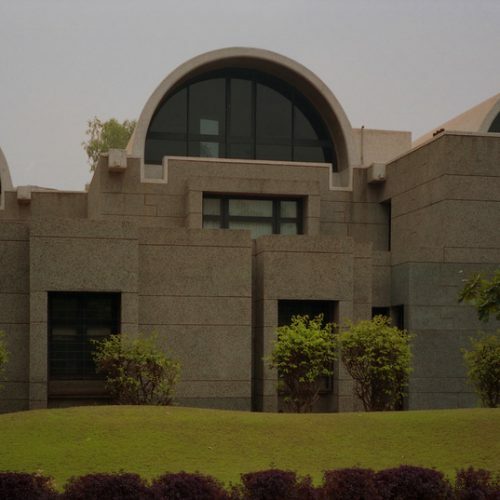 In 1956, Doshi hired two architects and founded his own practice, Vastushilpa, which has since been renamed Vastushilpa Consultants and grown to employ five partners and sixty employees, and has completed more than 100 projects since its inception. Infused with lessons from Western architects before him, he forged his artistic vision with a deep reverence for life, Eastern culture, and forces of nature to create an architecture that was personal, laced with sights, sounds, and memories from his past. Alongside a deep respect for Indian history and culture, elements of his youth—memories of shrines, temples and bustling streets; scents of lacquer and wood from his grandfather’s furniture workshop—all find a way into his architecture. Having been recognized both nationally and internationally, Doshi is the recipient of the Officer of the Order of Arts and Letters of France (2011); Global Award for Lifetime Achievement for Sustainable Architecture, Institut Francais d’Architecture, Paris (2007); Prime Minister’s National Award for Excellence in Urban Planning and Design, India (2000); Aga Khan Award for Architecture (1993-1995) for Aranya Community Housing; Gold Medal, Academy of Architecture of France (1988); Gold Medal, Indian Institute of Architects (1988); and Padma Shree National Award, Government of India (1976). Doshi is a Fellow of the Royal Institute of British Architects and the Indian Institute of Architects, and an Honorary Fellow of the American Institute of Architects. He served on the Pritzker Prize Jury from 2005-2007, and on selection committees for the Indira Gandhi National Centre for Arts and the Aga Khan Award for Architecture. 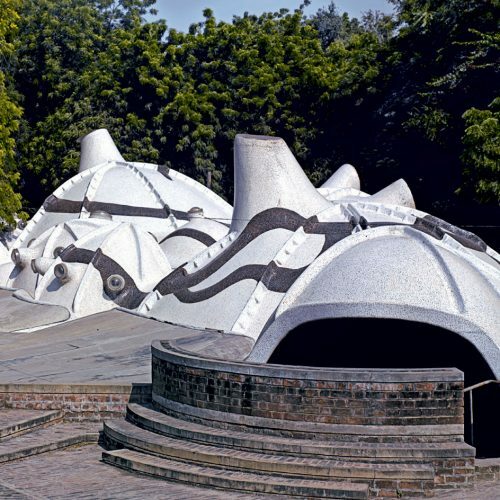 A retrospective of his works, “Celebrating Habitat: The Real, the Virtual and the Imaginary,” opened at the National Gallery of Modern Arts, Delhi, India (2014), before traveling to the Power Station of Art Shanghai, China, (2017). He recently delivered the 27th Annual Architecture lecture at the Royal Academy of Arts, London, U.K. (2017). Published texts include Paths Uncharted (Vastushilpa Foundation, 2011); “Community Building in Indore, India” in Where are the Utopian Visionaries? : Architecture of Social Exchange by Hansy Better Barraza (Periscope Publishing, 2012); and numerous works in relevant international journals such as A+U (Japan), Architectural Review (United Kingdom), and Abitare (Italy), among many others. 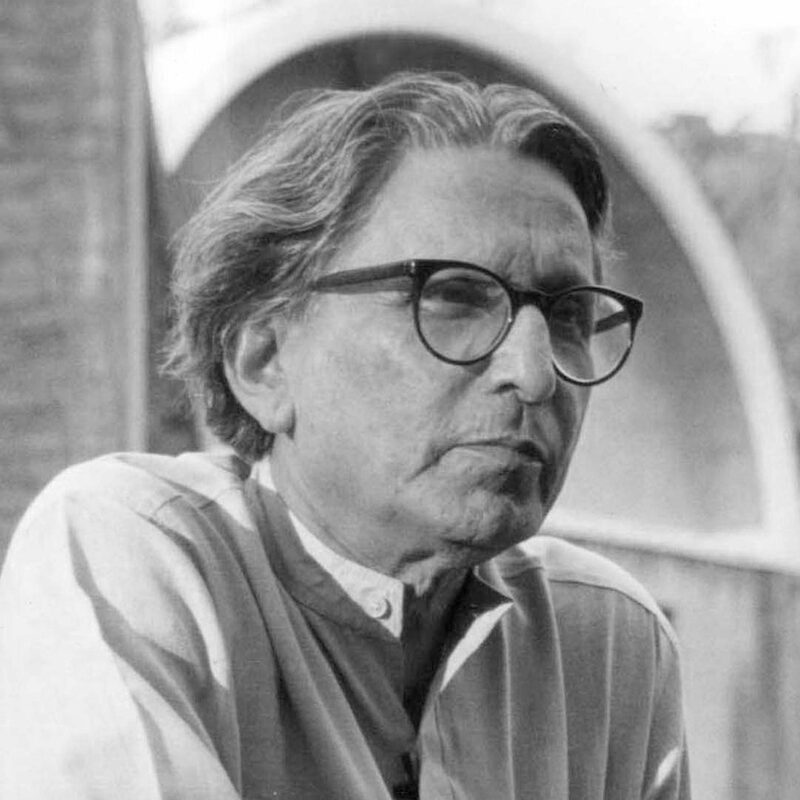 Doshi was a member of the International Committee for preparing the International Charter on the Education of Architects, sponsored by International Union of Architects in association with UNESCO (1995), and holds honorary doctorates from the University of Pennsylvania, United States (1990) and McGill University, Canada (2005). He has been a visiting professor at Massachusetts Institute of Technology; University of Pennsylvania, Philadelphia; University of Illinois, Urbana Champaign; Rice University, Houston; Washington University in St. Louis; and University of Hong Kong, among others, and has lectured at prestigious schools and institutions throughout the world.